Lil' Inker: More Recent Faves & Some News! More Recent Faves & Some News! First, I just wanted to say that when the Pinwheel dies and stamps are restocked you will be happy to know that I will be adding back the option to purchase the double die set once again. I will have two different Add to Cart buttons; one for the single die and one for the double die option. This is possibly the best solution I could arrive at to offer both set options AND still maintain a manageable inventory. What do you think? Also, the Design Team Acceptances will be going out VERY VERY SOON! Hang in there and thank you so much for your patience! This first card is made by the amazing Tammy Hershberger of Stamp Happy! You can read all about this card HERE. 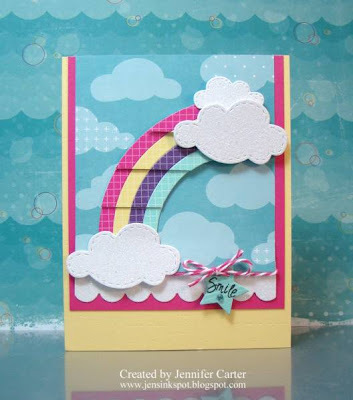 Another beauty from Jen Carter of Jen's Ink Spot who had this great idea to create a 3-D rainbow. You can read all about this card HERE. This one is from Judy Rozema of Joy in a JAR and I'm STILL squealing over it! I LOVE when someone does something out of the box with one of our dies!!! 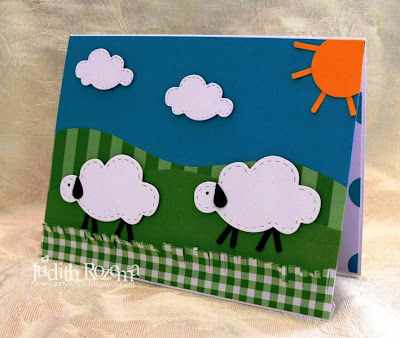 You can read about Judy's card HERE. This one is a stunner from Sheri Gilson of Paper Crafty's Creations. 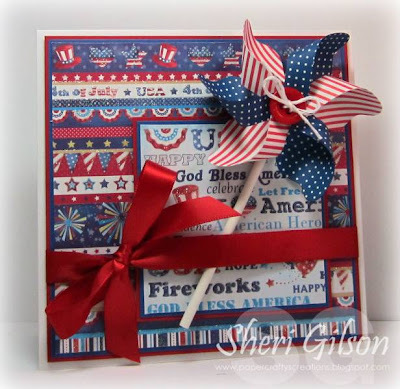 You can read all about Sheri's card HERE. Please visit Shop Lil' Inker and thanks for popping in! These cards are just darling! Gorgeous cards girls!! Very clever! !